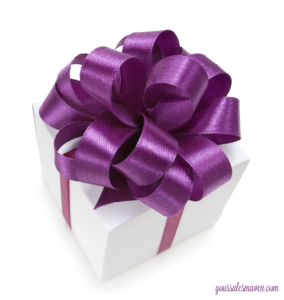 Which do you prefer, receiving a thoughtful gift or giving a gift that someone will cherish for years to come? Maybe in the last few months, you’ve done a favor for someone that to you seemed insignificant and yet to the person on the receiving end, it felt like an enormous gift and made a huge difference in their life. Did it feel good to be able to do something for someone that costs you little time and effort and yet had a big impact? Years ago someone pointed out to me that by always declining help when it was offered, I was robbing people of the experience of giving. Wow, it was an eye-opening moment! On the one hand, I believed that being fiercely independent meant not accepting help under any circumstances and then, on the other hand, realizing I was robbing people who cared for me of giving was selfish. The first time in my mid-thirties that I accepted help from a loved one because I realized that declining was being selfish, I had to force myself not to throw up. It felt foreign and in many ways wrong. And then when I interacted with my loved one over the next few days, I realized he was practically floating. He was in such high spirits. He did receive a gift. The gift was the satisfaction of being able to help someone he loved. Here’s how this relates to sales; too often we don’t ask the people in our lives that know, like and trust us to refer us. And yet, we know that like attracts like, so these people are the absolute perfect people to connect us with our next ideal client. Many clients tell me they feel guilty or uncomfortable asking people to refer them. When I explain the idea of allowing or accepting help from others as a true gift for the giver, they start to look at the ask in a whole new light. It no longer feels selfish. There are so many people who believe in you, your product/service and they would be honored to connect you with someone else that might benefit from what you do. Your Savvy Sales Tip this week: Be willing to allow people to make introductions and connections for you. You’re offering them the opportunity to feel good about themselves, and for many people, those feelings are a gift.